When will starry-eyed suitors finally learn that engagement rings and fast-moving bodies of water don’t mix? 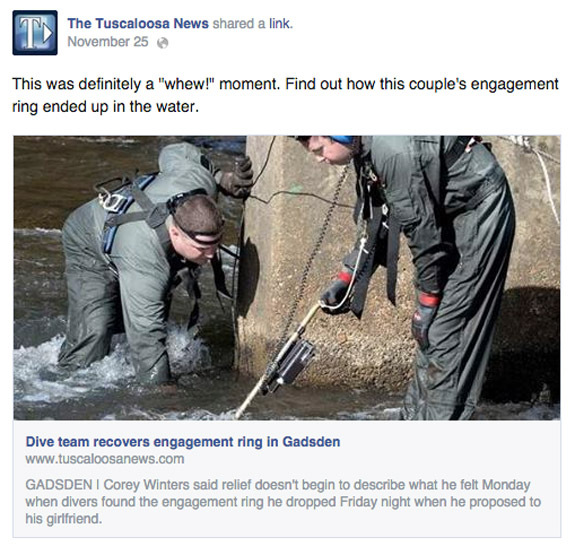 In Gadsen, Ala., Corey Winters relied on the kindness of the local police dive team to rescue the engagement ring that he dropped through a footbridge while proposing to girlfriend Stephanie Cole near scenic Noccalula Falls. 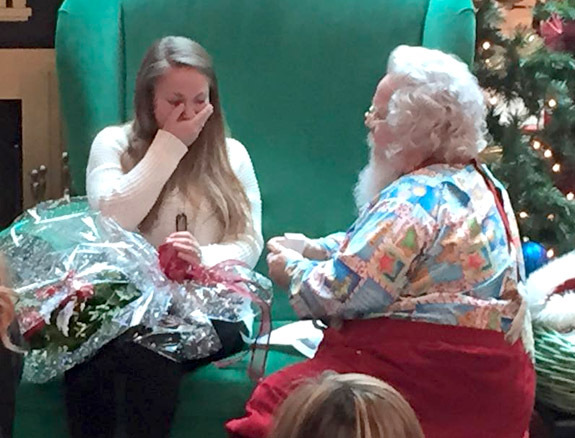 Everything about the surprise proposal seemed to be perfect. The setting was romantic, the ring was gorgeous and the ruse that convinced Cole to join Winters on the bridge was believable. 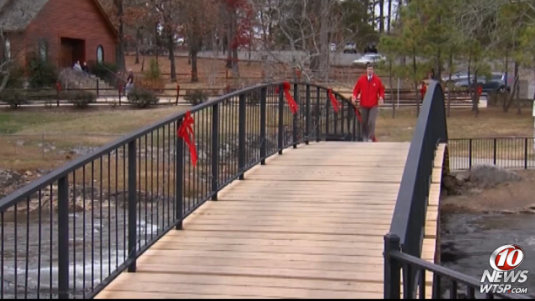 He told her that he wanted to share the spectacular view the Christmas lights that had just been installed at Noccalula Falls Park. 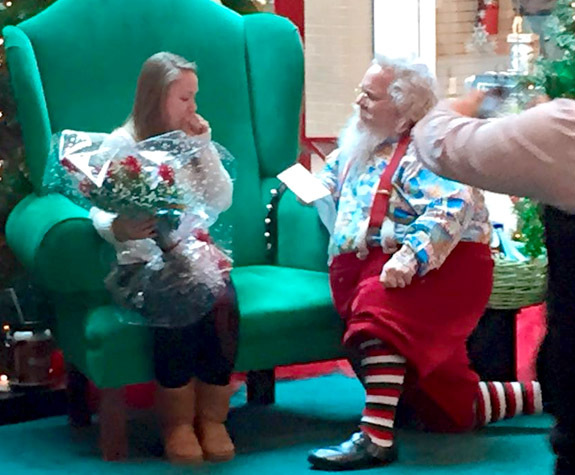 But when Winters, an Afghanistan veteran and a member of the 3rd Marine Division, went down on bended knee to offer his proposal, all his best intentions started to turn for the worse. First, he attempted to put the ring — a pretty three-stone motif with a 1-carat diamond center and sapphire accents — on the ring finger of Cole’s right hand. 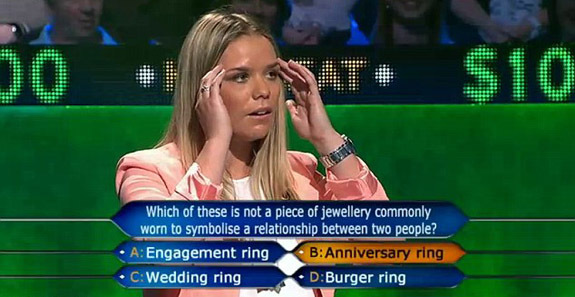 When his girlfriend corrected him that the ring traditionally goes on the left hand, the nervous and wind-chilled boyfriend fumbled the ring. 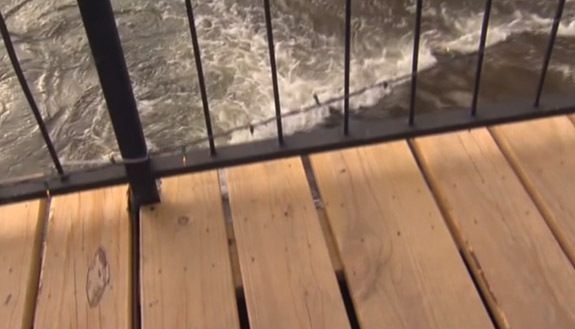 It bounced once and then disappeared through the planks of the footbridge into the rapids below heading downstream toward the waterfall. 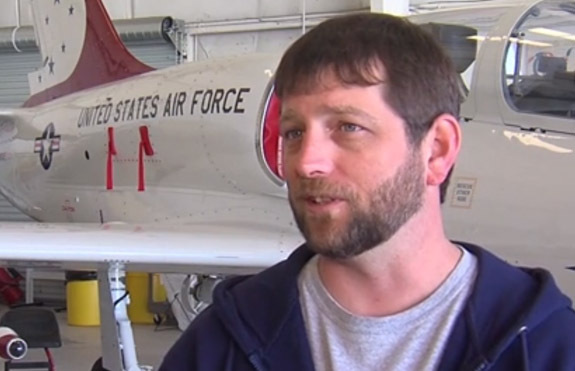 "I saw it bounce about three or four slats over and go between two planks," he told WTSP-TV. "It was cold and dark and we were both nervous," Cole told the Tuscaloosa News. "I never even saw it. I felt so bad for him." The brave boyfriend rolled up his pants and got into the fast-moving, frigid water but couldn’t locate the ring. After about 30 minutes of searching, he wasn’t up to his knees in water, he had fallen completely in. Winters continued his search the next day with a group of friends and a metal detector, but still they had no luck. 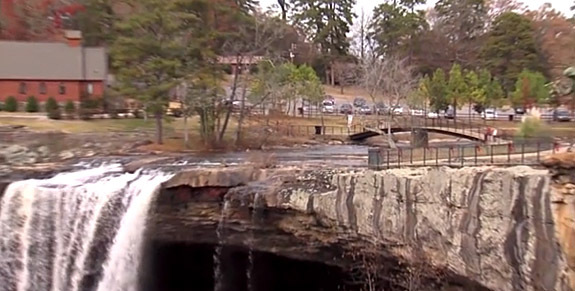 Finally, the park staff — noticing the unusual activity in the rapids under the bridge only 30 yards from the falls — called the Etowah County Sheriff's Office, which agreed to search for the ring even though it was unusual for the dive team to look for personal items. Sheriff Todd Entrekin explained why his dive team took on the challenge: "It was a great training opportunity. There's not many times we get to actually be in rapid water there. And two, it was pretty significant to [Winters] and his family. He kept going out there [into the rapids], so we figured in the long run it was safer if we went out and looked for it." Within an hour the sheriff’s team of three divers had located the ring. Fortunately, the ring had gotten hung up near a pile under the bridge. Meanwhile, Winters had purchased replacement ring at a local jewelry store. Once the original was retrieved, the store owner agreed to take back the replacement and offer a full refund. Winters told ABC 33-40 that it's nice having a memorable story to tell, but he looks forward to a time when he and his future bride are the only ones telling it. He doesn't particularly enjoy the attention. As part of the Dubai Shopping Festival's 20th anniversary jubilee, the City of Gold is looking to break its own Guinness World Record by handcrafting the world’s longest 22-karat gold chain. If successful, the "Dubai Celebration Chain" will stretch at least 3.1 miles (5km) and weigh 397 pounds (180kg). The length of the chain is equivalent to more than 11 times the height of the Empire State Building, or 2.5 times the distance of the Kentucky Derby at Churchill Downs. The current record holder — a chain that snaked 4.1km — has owned the title since 1999. Twenty-two-karat gold is 91.7% pure, so the gold value of the chain (364 pounds of pure gold at yesterday’s spot price of $1,215 per ounce) is $7.08 million. According to Gulf News, the manufacturing process, which is being coordinated by the Dubai Gold and Jewellery Group, should take a month to complete and will require the skills of 70 artisans working 10-hour days. Once created and certified by Guinness authorities, the mammoth chain will go on display at Dubai's Gold Souk (gold market) during the first week of January as part of the month-long festivities that will run through February 1, 2015. The chain display will be 200 meters long and will take six hours to assemble. Those looking to own a piece of history are encouraged to “book” a portion of the chain, with sizes varying from bracelet lengths to necklace lengths. Every length of chain will include an end link etched with the phrase, “Year 2015.” The chains will be delivered in special packaging with a certificate. 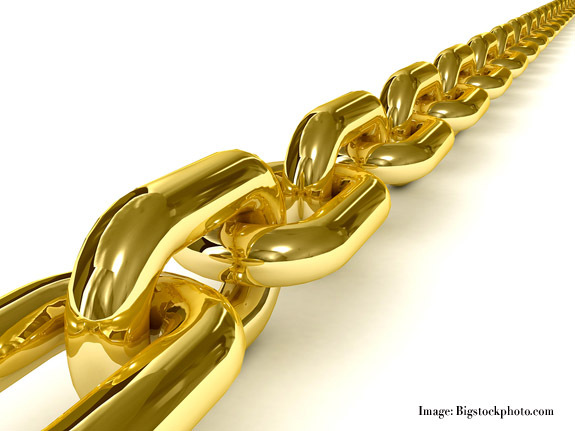 If demand is strong, the Dubai Gold and Jewellery Group may extend the length of the chain from 5km to 8km (4.97 miles). 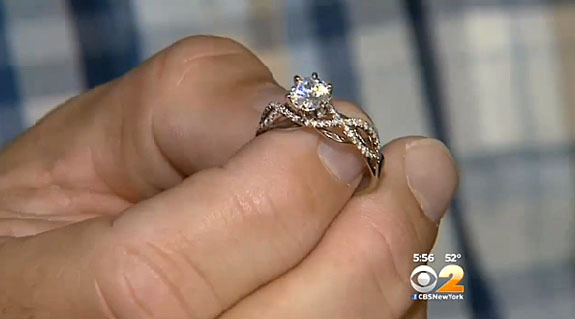 More than 50,000 Facebookers are pitching in to help Long Island retiree John Farrelly find the rightful owner of the beautiful diamond engagement ring he found half-buried at a local beach. After learning from a local jeweler that the ring was, indeed, real, the North Babylon resident has been committed to doing the right thing. 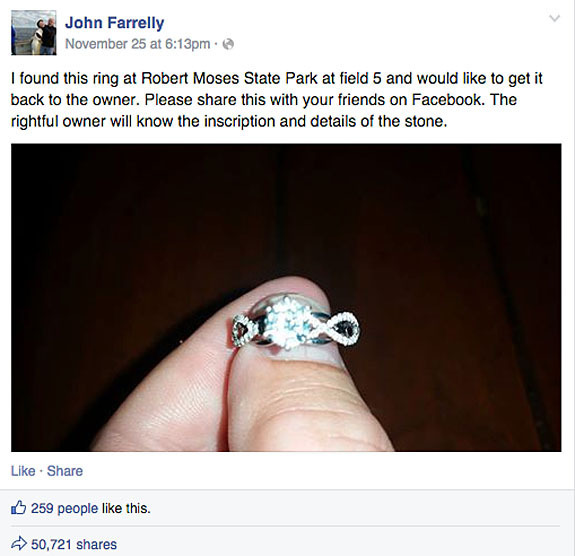 Within one week of posting a photo of the ring and explanation of where he found it, Farrelly’s story sparked the action of more than 50,000 Facebook users, who were happy to share the post with their own Facebook friends. New York’s CBS affiliate then jumped on the viral story and ran a two-minute news feature during Monday evening’s television broadcast. 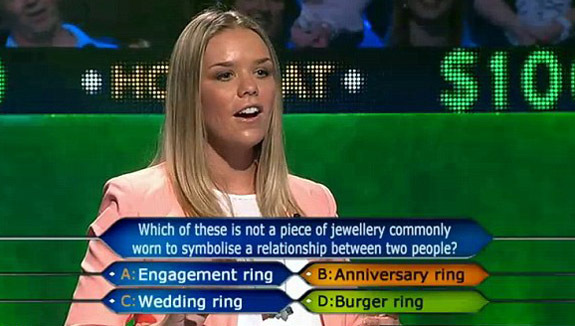 Despite the ring's value, Farrelly never considered keeping it or trying to sell it. “I couldn’t see anything different than trying to return it to the rightful owner,” he told CBS News. In fact, it was the radiance of the center diamond that led him to find the ring in the first place. “I just saw that little sparkle, and I brushed around the sand, and there it was,” Farrelly said. 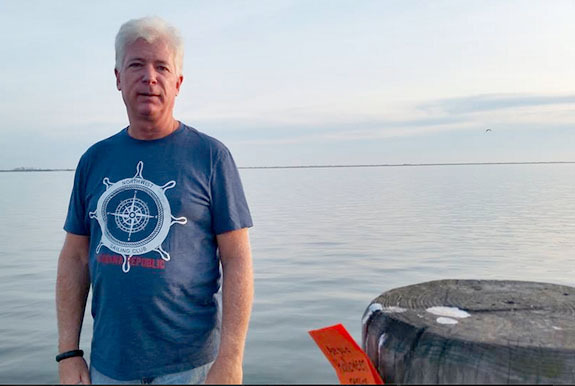 Back in August, Farrelly was packing up his belongings after a leisurely beach day at Robert Moses State Park when a twinkle emanating from the sand caught his attention. On closer inspection, the source of the twinkle was the diamond center stone of a half-buried engagement ring. He immediately alerted the park police, but was told that nobody had reported a missing engagement ring. A local jeweler confirmed that the gems and gold were real and that the ring had special markings in the band that only the rightful owner would know. 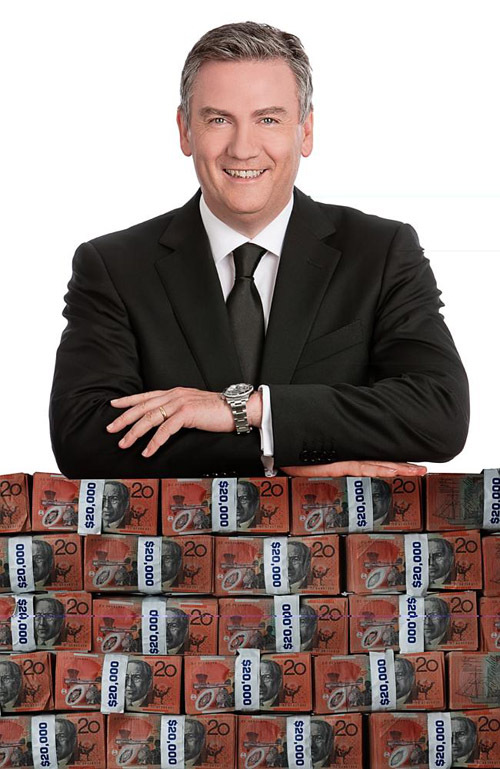 So far, Farrelly’s publicity strategy has been top rate. Unfortunately, as of last night, the owner had yet to come forward. 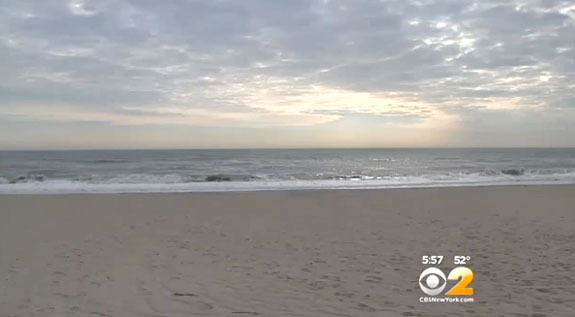 Because there’s no way to tell how long the ring had been buried in the sand, the father of five is planning to reconnect with the park police to dig through missing-ring reports that date back several years, according to CBS News. 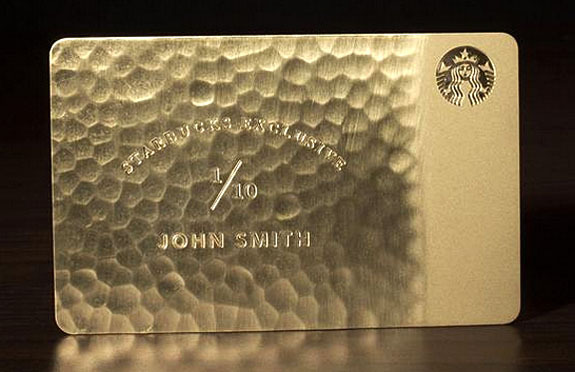 In a promotion reminiscent of the five golden tickets in Willy Wonka & the Chocolate Factory, coffee giant Starbucks will be giving away $5,000 hammered gold commemorative cards along with beverages for life to 14 lucky winners in the U.S., Canada and the U.K. 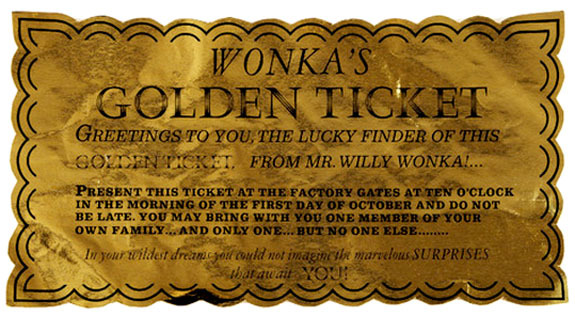 In the 1971 Willy Wonka movie starring Gene Wilder (and the 2005 remake starring Johnny Depp), Golden Tickets hidden in Wonka Bars offered the winners a glorious tour of the candy factory and a lifetime supply of chocolate. 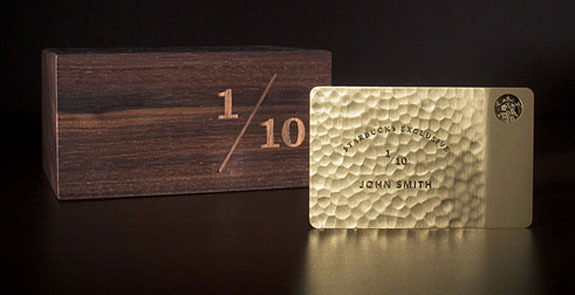 In Starbucks’ “It’s a Wonderful Card Ultimate Giveaway,” each grand-prize winner will get a personalized 10-karat hammered gold card and “Starbucks for Life.” The company values the engraved, individually numbered cards at $5,000 apiece and the lifetime supply of beverages at $54,000, according to Time.com. Starbucks’ definition of a “lifetime” is actually 30 years, so younger winners may end up receiving a mere half-life of cappuccino, iced coffee and other tasty treats. (Despite its impressive appearance, the hammered golden card is not functional. Instead, the company will regularly load the value of a drink or food item to the winners’ My Starbucks Rewards Gold Card). Participating in the contest is easy. Customers using their Starbucks card or the Starbucks mobile app will receive a unique sweepstakes code on their receipt. That code can be entered online at starbucks.com/play for a chance to win. Starbucks announced there will be 10 winners in the U.S., three in Canada and one in the U.K. The contest runs from now through January 5, 2015. Although the odds of winning the grand prize will be slim, Starbucks’ customers have a great chance of winning one of the 482,000 instant prizes, which include holiday beverages and other goodies. Welcome to Music Friday when we bring you wonderful songs with jewelry, gemstones or precious metals in the lyrics or title. 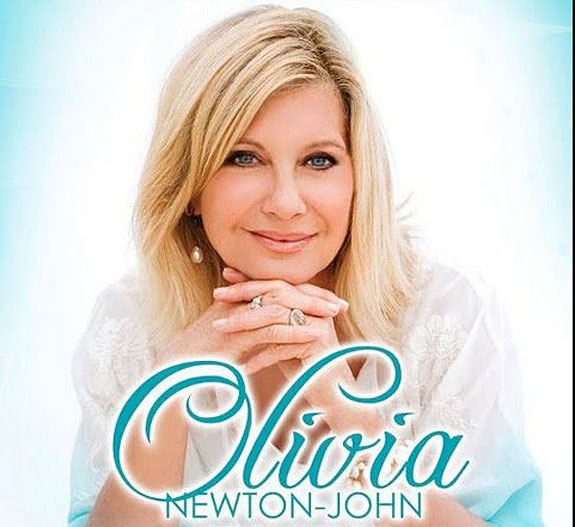 Today, Olivia Newton-John reminds us that we’re all “Pearls on a Chain” in her inspirational 2006 song. Since surviving breast cancer in 1992, Newton-John has been a staunch advocate for cancer patients and their families. In fact, in 2008, she raised funds to help build the Olivia Newton-John Cancer and Wellness Centre in Melbourne, Australia. In describing her motivation for writing “Pearls on a Chain,” Newton-John told an Aussie audience that all of us have been touched in some way by cancer. “Pearls on a Chain” is the second track on Newton-John’s Grace and Gratitude album, which she released in 2006 and distributed exclusively through Walgreens pharmacies to benefit various cancer charities. It was re-released with normal distribution in 2010 as Grace and Gratitude Renewed. That version charted in Australia and the U.S., with the album earning the #2 spot on the U.S. Billboard New Age Albums chart and #36 on the U.S. Billboard Christian Albums chart. 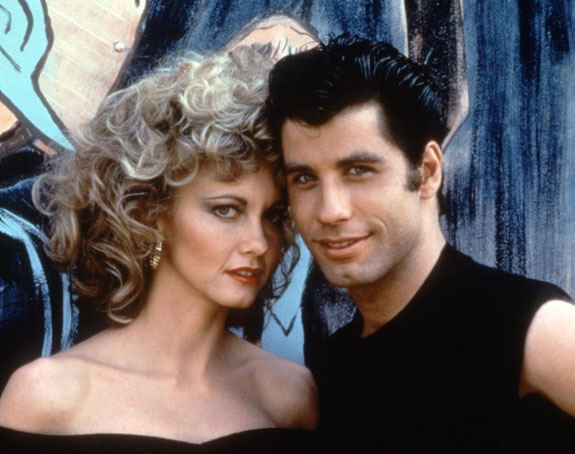 The Australian-born Newton-John was a 1970s singing sensation with a flood of #1 hits that included “I Honestly Love You” and “Have You Never Been Mellow.” In 1978, she played Sandy Olsson opposite John Travolta’s Danny Zuko in the wildly popular musical, Grease. She was 29 at the time and her character was a high school senior. The four-time Grammy Award winner continues to tour at age 66. We invite you to check out the video of Newton-John’s live performance of “Pearls on a Chain.” The lyrics are below if you’d like to sing along. 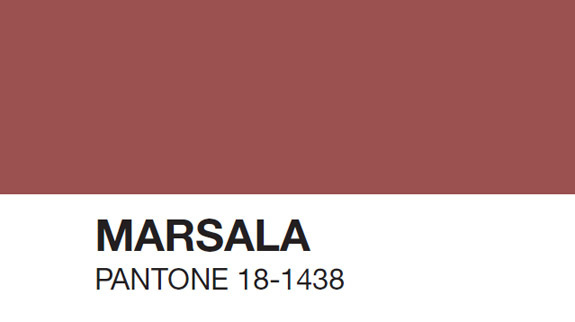 The Pantone Color Institute named ‘Marsala’ — a muted brownish-red hue — as its 2015 Color of the Year. While the Institute’s executive director Leatrice Eiseman characterized the earthy color as "hardy, robust, satisfying and fulfilling," some critics have compared it to the faded carpeting of a 1970s rumpus room or the curious hue of cafeteria mystery meat. Each year, Pantone’s experts pick a color that they believe will be popular for designs and products in the coming year. 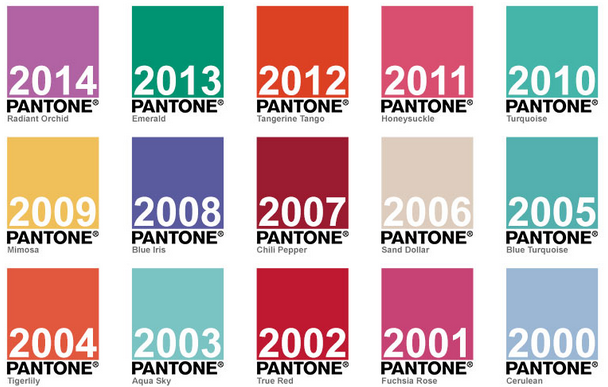 Typically, Pantone’s annual selection shows up in fashion, beauty, housewares, home and industrial design and consumer packaging. The company says its pick is based on worldwide influences, such as fashion trends, art, travel destinations, entertainment and popular culture. For 2014, it was Radiant Orchid, a tropical purple that was said to emanate joy, love and health. In 2013, it was Emerald Green, a color of elegance and beauty with obvious fine jewelry applications. In 2012, we saw Tangerine Tango, a brilliant orange hue that reflected the energy boost needed at the time to recharge and move forward. For 2015, it’s Marsala, a shade Eiseman said "embodies the satisfying richness of a fulfilling meal, while its grounding red-brown roots emanate a sophisticated, natural earthiness." Eiseman admitted that Marsala is "not the color that swallows the world," noting that it should be used more as an accent. The Atlantic panned Pantone’s color selection, stating that Marsala’s food implications skew decidedly un-gourmet. “For a color that shares associations with wine, chicken and mushrooms, the color also summons pfth-sounding glops of mystery meat in elementary cafeteria lunches,” wrote The Atlantic. Jewelry-industry trade magazine JCK pointed out that Marsala translates into garnet, spinel and tourmaline for customers desiring a gemstone color match with Pantone’s Color of the Year. Otherwise, Marsala-inspired fashions can be coordinated with complementary colors, such as pink and pale blue, as well as golden yellows, turquoise, teal and vibrant blues. 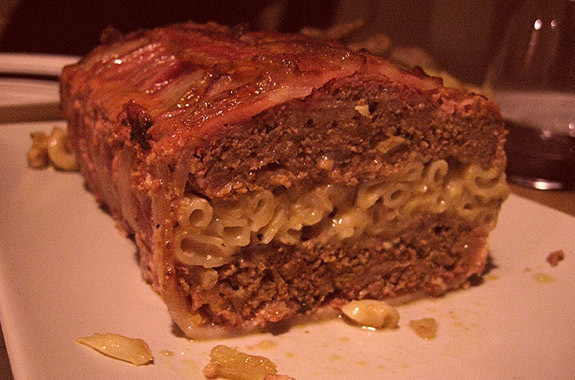 Color Images: Pantone; Mystery meat: English 1080 blog (uncredited). 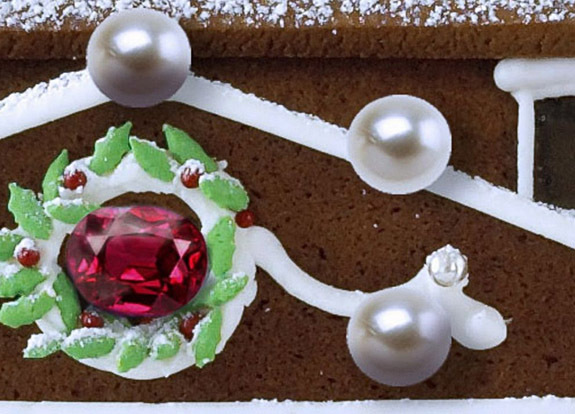 VeryFirstTo, a British luxury products website, is offering the world’s most expensive gingerbread house — a $77,910 confectionery masterpiece bedecked with an inedible cache of 150 South Sea pearls and a 5-carat Mozambique ruby. What’s more, cake artist Georgia Green of Georgia’s Cakes — who actually studied architecture — promises to design the gingerbread house to mimic the characteristics of the customer’s own abode. Each custom design will measure approximately 26 by 14 by 18 inches. 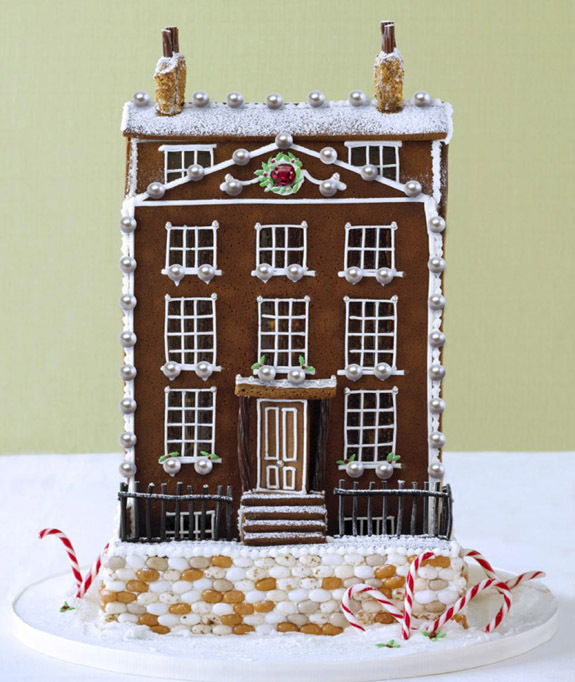 In the example shown on the VeryFirstTo.com website, the gingerbread house is outlined in white South Sea pearls that appear to be about 10mm in size. Two pearls sit on each windowsill and a faceted oval ruby punctuates a Christmas wreath at the peak above the third-floor windows. VeryFirstTo.com claims that the 150 South Sea pearls are of the finest quality and that the ruby is unheated. More pearls can be added at an additional cost. As one would expect from a luxurious gingerbread house that costs as much as some real homes, the ingredients are all top notch, from the organic ginger and Ceylon cinnamon to the Duchy organic eggs, Suma raw cane sugar and Echire butter from France. The deadline for U.K.-generated holiday orders is December 10. The published price of $77,910 does not include shipping. The deadline for international orders was not published on the VerFirstTo.com web site. This is not the first time VeryFirstTo has promoted over-the-top Christmas items. The company previously featured the most expensive Christmas wreath and the most precious Christmas pudding, according to ABC News. For more info on the pearl-and-ruby gingerbread house, visit http://veryfirstto.com/. 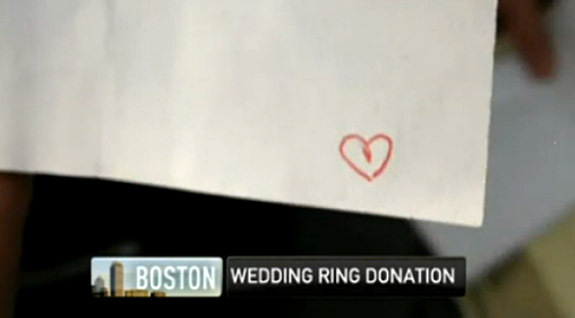 An anonymous woman honored her late husband’s joy of Christmastime gift giving by dropping her engagement ring and wedding band into a Salvation Army Red Kettle outside of Boston’s North Station. Accompanying the three-stone engagement ring and plain gold wedding band was a type-written note from the woman and a 2003 appraisal stating that the engagement ring was worth $1,850. The value of the wedding band was not included. 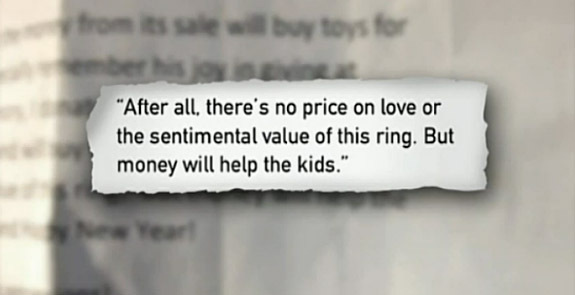 “I’ve dropped my wedding ring in your Red Kettle knowing that the money from its sale will buy toys for needy children,” she wrote. “In all seasons, my husband was a giver. I especially remember his joy in giving at Christmastime, especially to those in need. To honor his memory, I donate this ring." The widow continued, "I'm hoping there's someone out there who made lots of money this year and will buy the ring for ten times its worth. After all, there's no price on love or the sentimental value of this ring. But money will help the kids." Instead of signing the note, she drew a simple red heart in the bottom-right corner. Salvation Army officials were delighted — but somewhat stunned — by the woman’s generosity. 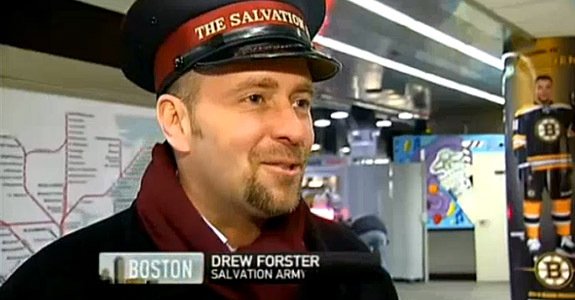 Drew Forster, the Greater Boston Director of Communications for The Salvation Army, said that it’s very unusual for someone to intentionally drop jewelry in a Red Kettle. Bell ringer Robert Barr was manning the North Station Red Kettle when the jewelry donation was made. He said the woman was slight in stature and probably in her 50s. 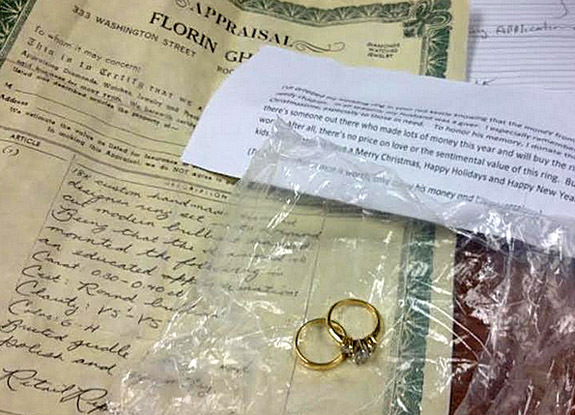 She dropped into the kettle two envelopes, which contained the jewelry in a clear plastic bag, the appraisal and the note. Donations made to the Salvation Army are typically used to provide funding for food pantries, soup kitchens, social services and educational programs for children, families and seniors. For now, the woman has remained anonymous. Salvation Army officials said that they would love to thank the woman in person for her generosity, even if it was done privately. 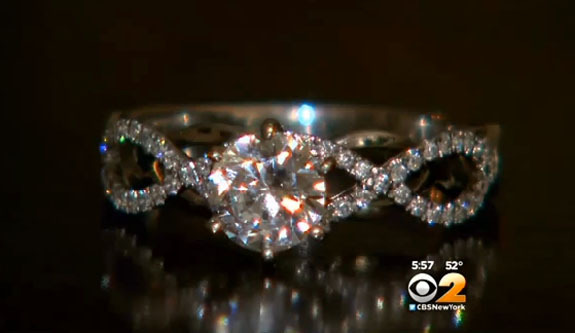 They also announced that they have received a $3,000 offer for the bridal jewelry, with the bidder explaining that he hopes his interest in the rings will inspire others to offer even more. 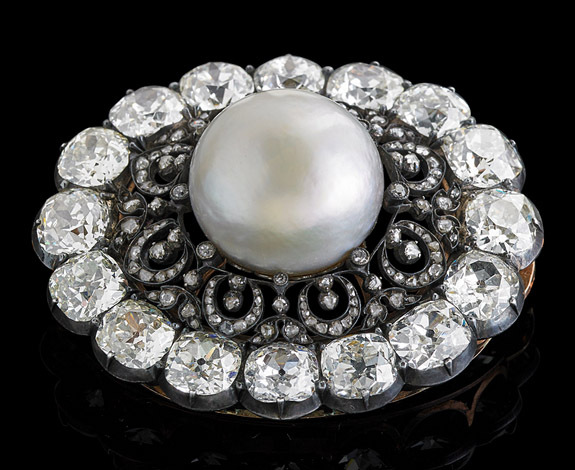 Described as “a pearl the size of a quail egg on a cracker of diamonds,” the “Putilov Pearl Brooch” fetched $813,750 at New Jersey’s Rago Auctions on Sunday. The brooch is centered by the world’s largest near-round natural saltwater pearl, a mammoth specimen that measures 19.08mm x 18.88mm x 16.50mm. The brooch is framed by 16 near-colorless, old mine cut diamonds with an approximate total weight of 28 carats. The “Putilov Pearl Brooch” had been owned by the great grandchild of Alexei Putilov, a wealthy Russian financier and industrialist, who carried the 19mm pearl to Paris in the midst of the Russian Revolution in the spring of 1918. Sunday’s winning bidder was an unnamed Englishman of Russian descent, who made the trip to the U.S. specifically to see the Putilov pearl and take part in the auction. Also in attendance was the Putilov family, who reportedly put the famous jewelry up for auction to generate funds to pay off mounting eldercare bills. After the brooch was sold, “they were in tears," Sarah Churgin, the head of Rago’s jewelry and silver department, told NJ.com. "They're just lovely people, just so grateful. It’s going to change their lives." A Pearl Identification Report from the Gemological Institute of America described the Putilov pearl as having a white body color, near-round shape and orient overtone. The pearl is full-drilled, which indicates that it was previously worn as a necklace. The drill holes were subsequently filled with nacreous plugs, according to the report. The Putilov pearl is estimated to be about 8% larger than the second-largest natural saltwater pearl on record. 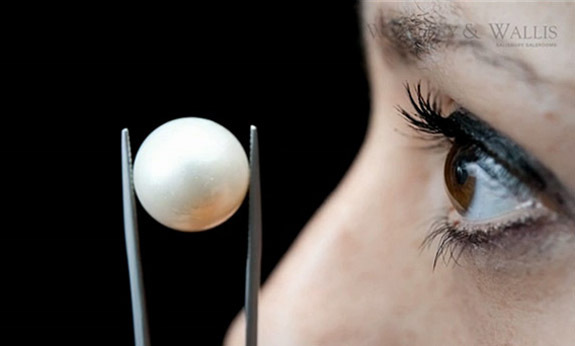 That pearl, which sold for $1.37 million at British auction house Woolley & Wallis on May 1, 2014, measured 17.44 x 16.51mm. That specimen was discovered largely by chance. An anonymous woman, who was gifted a pair of drop earrings by her husband, didn’t realize that one of the two was worth more than $1 million. The earrings had fallen out of style, so she had left them in a locker, forgotten for years. One day, while cleaning up the house, she rediscovered them and decided to get an estimate of what they were worth. Natural pearls are organic gems, created by a mollusk totally by chance, without human intervention. To find one 17mm or 19mm in size is virtually impossible. Cultured pearls, by comparison, are grown under controlled conditions, where a bead is implanted in the body of the mollusk to stimulate the secretion of nacre. Over time, layer upon layer of nacre creates the deep luster of a pearl. Images: Rago Arts & Auction House; Woolley & Willis. Welcome to Music Friday when we bring you fun songs with jewelry, gemstones or precious metals in the lyrics or title. Today, we feature “This Gift,” a 1999 Christmas season hit by R&B boy band, 98 Degrees. In the chorus of the song, we learn that "this gift" is actually an engagement ring... "Cause I've been waiting to give this gift tonight / I'm down on my knees / There's no better time / It's something to last for as long as you live / Tonight I'm gonna give you all my heart can give." “This Gift” was the first single released from the group’s third studio album, This Christmas, which sold more than one million copies in the U.S. alone. “This Gift” also was well received, as it peaked at #40 on the U.S. Billboard Hot 100 chart and #14 on the U.S. Billboard Hot Adult Contemporary Tracks chart. 98 Degrees — comprising band members Lachey, brother Drew Lachey, Jeff Timmons and Justin Jeffre — enjoyed a monumental run from 1996 to 2003. The group notched eight Top 40 singles in the U.S. and sold 10 million records worldwide. The group disbanded in 2003, although Nick Lachey stated on the group’s official web site that there was no breakup, just an extended hiatus. Group members pursued other creative endeavors during the “hiatus” but came back together in 2012 for what was supposed to be a one-time performance at the Mixtape Festival in Hershey, Pa. Written by Sean Syed Hosein and Dane Anthony Deviller. Performed by 98 Degrees. 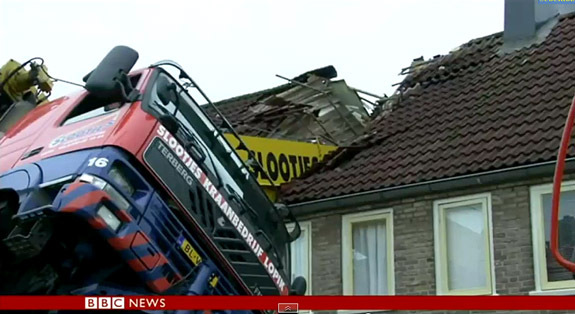 A Dutchman’s elaborate plan to serenade his girlfriend and then propose marriage — while being lowered to her bedroom window in the bucket of a cherry picker — nearly “brought down the house” on Saturday when the unsecured crane teetered through the roof of an adjoining building. On paper, the Dutchman’s objective seemed to be plausible. He’d surprise his girlfriend by magically appearing in front of her window, sing her a song and then ask for her hand in marriage. 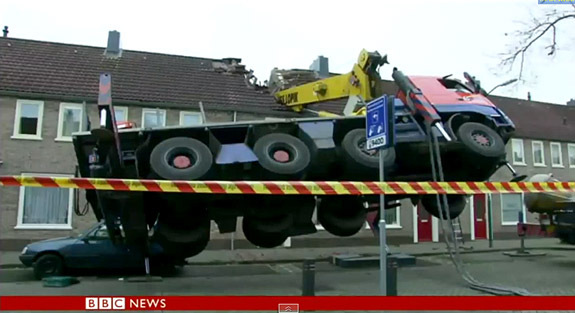 Sadly, the dynamics of heavy machinery, physics, gravity and bad luck got in the way. 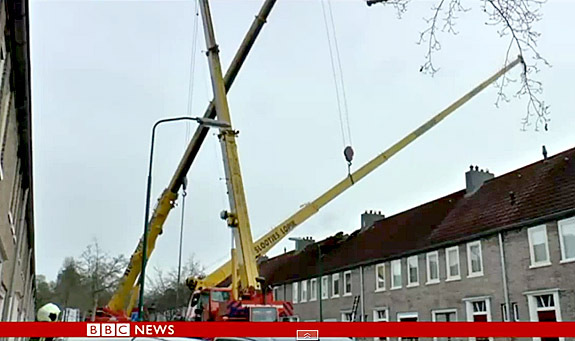 The ambitious Romeo was forced to abandon his high-flying scheme and scramble to safety after the crane toppled, causing the evacuation of 32 apartments in the Dutch town of IJsselstein, about 30 miles south of Amsterdam. 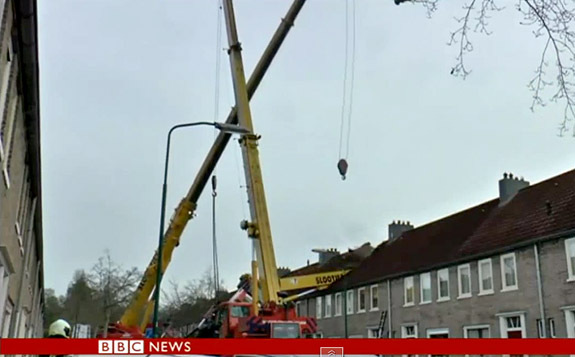 The attempt to rescue the crippled crane added insult to injury. 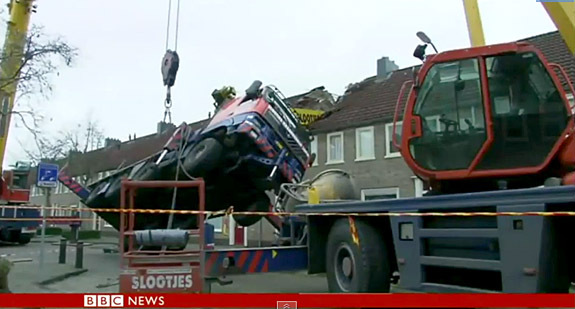 Videos of the operation show the horrific and darkly comical failure of a larger crane trying to lift the smaller one. The boom snaps free, plunging downward through the roof of the building and leaving six apartments uninhabitable. Fortunately, local apartment dwellers and the newly engaged couple emerged from the drama unscathed. Despite the malfunctions, the marriage proposal was still a “smashing” success. While the execution of his plan might have earned a failing grade, the suitor clearly got an A-plus for effort and creativity. His girlfriend said, “Yes,” according to the Dutch newspaper Algemeen Dagblad. 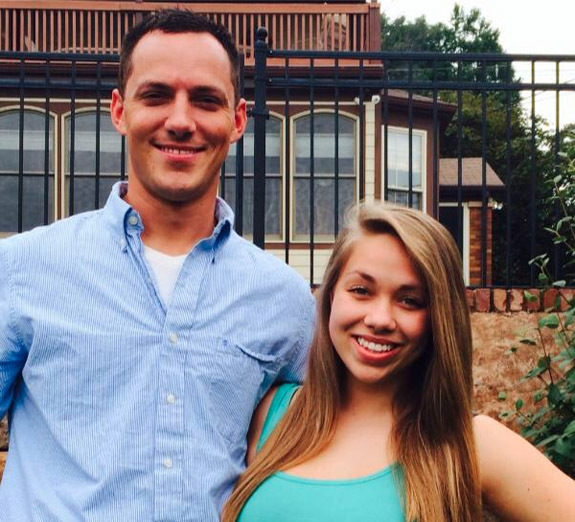 After meeting with town authorities, the couple reportedly traveled to Paris to celebrate. 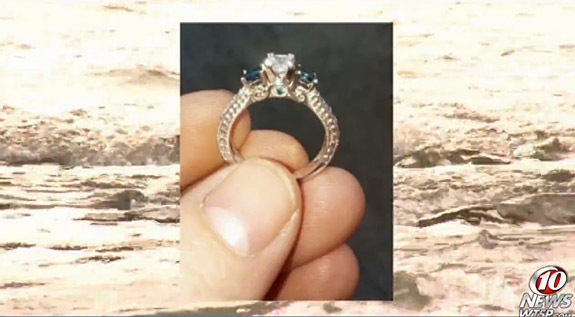 Wastewater workers for the city of Pacifica, Calif., are being hailed for their skill, persistence and going beyond the call of duty in rescuing a diamond engagement ring that was accidentally flushed down a toilet — and presumed lost forever. 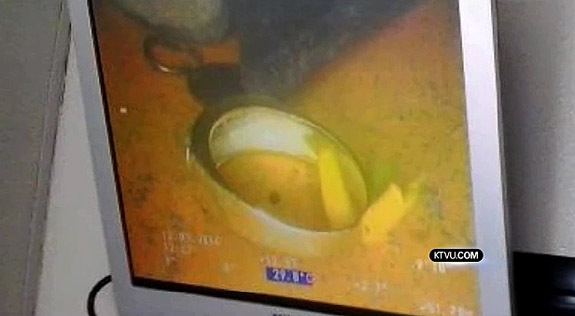 The glistening ring was spotted with a video camera 1,000 feet from where it entered the sewage pipe. Pacifica Waste Water Collection workers were able to climb down a manhole and scoop the ring out of the muck. The relieved couple, Lary Warren and Monika Belden-Sokoloski, had marked their February 2014 engagement by exchanging diamond rings. Warren’s ring featured 20 diamonds channel set in a wide gold band. 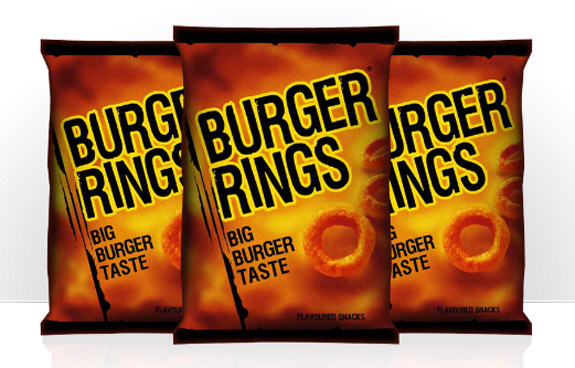 Having recently lost weight, Warren had noticed that his ill-fitted ring was spinning loosely on his finger. About a month ago, he was in the bathroom of his home, having just washed his hands, when the soapy ring flew off his finger and into the flushing toilet. In a second, it was gone. “The ring was in the toilet and I was about to be in the toilet," Warren said, expecting to get an earful from his fiancée. “I was very quiet," corrected Belden-Sokoloski. Assuming that the ring had met its end, Warren decided to write off the loss to some bad luck. 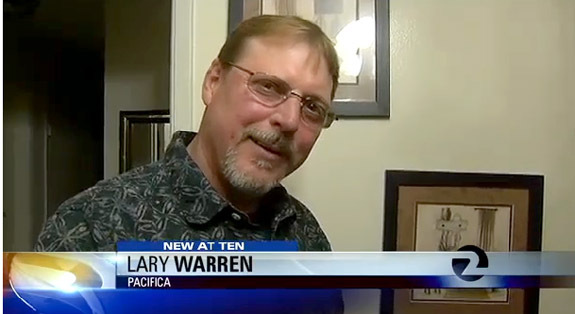 But, two weeks ago, after seeing a story on KTVU Channel 2 News about a ring that was recovered from a sewage pipe, he decided to contact Pacifica Waste Water Collection. A full month had passed since the ring swished down the toilet, so there was no telling where in the sewage system the ring had traveled. "It's like a needle in the haystack. 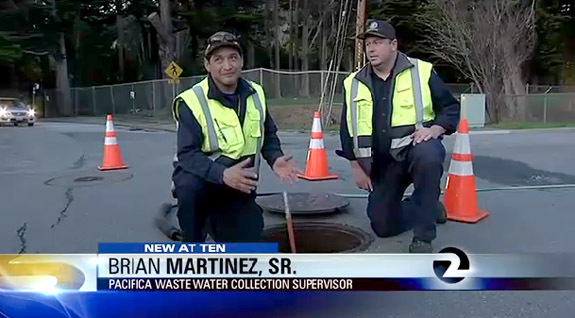 We really didn't think we had a chance," sewage maintenance worker Eddie Pastrano told KTVU. Nevertheless, Pastrano’s supervisor, Brian Martinez Sr., thought the recovery effort was worth a try. First, Martinez’ crew ran a small camera through the plumbing of Warren’s home. When that proved fruitless, the team snaked a larger camera through the main sewage pipe, but still they had no luck. On the third try, with the larger camera inching through pipe more than 1,000 feet from Warren’s home, workers finally saw a positive sign. "It was gold. It was very shiny. We were able to see it quite well," maintenance worker and camera operator Mike Williams told KTVU. “All the stars and moons lined up and we had the right conditions. Williams said the search was helped along by a recent run of wet weather. "It was really a fluke thing. Usually the sewer is pretty murky, but it just so happened we had all that rain come through, so it was clearer in the pipe." Wastewater workers noted that the ring was found just a short distance from where the local sewage pipe drops into a larger pipe and crosses a highway. Had the ring traveled that far, it certainly would have been lost forever. Imagine your grandchildren’s delight when decades from now they can see or hear your heartfelt sentiments frozen in time by simply touching a pearl to a mobile device. The new Momento Pearl from Galatea uses near field communication to make it all possible. Galatea founder Chi Huynh developed a way to embed a tiny NFC chip within the core of a cultured pearl. 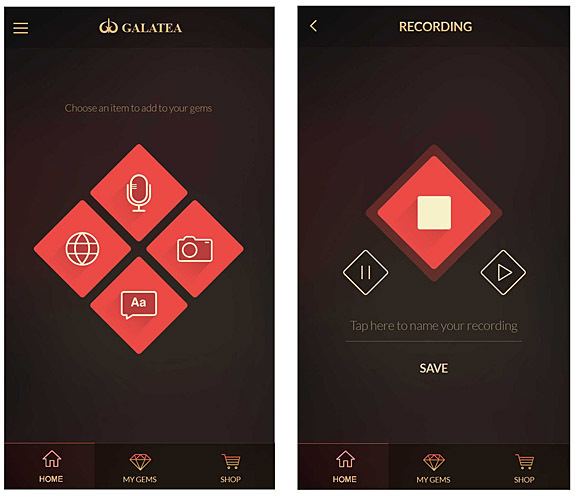 Powered by induction energy and thereby needing no battery, the chip is programmed using Galatea’s custom phone app. Users can load the chip with four types of media: audio, text, images or video. 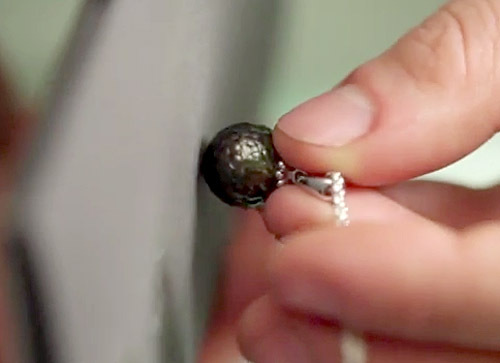 By tapping the pearl against an NFC-enabled mobile device, the audio is played and other digital material displayed. From words of love and encouragement to wedding vows and Biblical passages, the emotional connections contained within the patented Momento Pearl are boundless. "This is where the future of jewelry begins," Huynh said in a statement. "A person can 'live' in this pearl forever, as it holds the voice and memories of a loved one." Huynh is best known for his masterfully hand-carved pearl jewelry, often embedded with colored gemstones or diamonds. 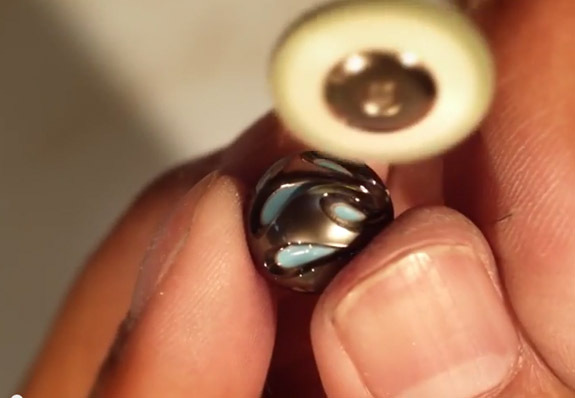 The designer also patented a special pearl cultivation process where the standard white shell nucleus is swapped for a colorful gem bead nucleus. With the colorful core, the artist is able to carve away parts of the surface nacre to reveal the colorful interior, giving it a beautiful dimensional quality. 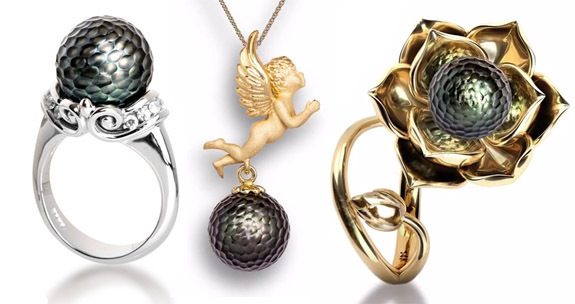 Galatea’s Memento Collection includes 29 pendants, 26 earring and eight rings featuring Tahitian and freshwater pearls set in 14-karat gold. Retail prices start at $350. A strange red and green “Christmas Rock” teeming with 30,000 teeny diamond crystals has members of the scientific community scratching their heads. Just over one inch wide, the host rock has a diamond density one million times higher than normal diamond-bearing ore, which typically yields 1 to 6 carats per ton, according to LiveScience.com. Russian miners unearthed the festive-looking specimen at Alrosa’s Udachnaya diamond mine near the Arctic Circle and gifted it to the Russian Academy of Sciences. Via X-ray tomography analysis, scientists discovered the stone is made up of 30,000 diamond octahedron crystals, which look like two pyramids fused together at the base. Each octahedron is colorless and about 1mm (.04 inches) in height. Because of their minute size, the diamonds have no practical use in jewelry, but they present a rare and wonderful opportunity for scientists. "The exciting thing for me is there are 30,000 itty-bitty, perfect octahedrons, and not one big diamond," said University of Tennessee geologist Larry Taylor, who presented his initial findings Monday at the American Geophysical Union's annual meeting. "It's like they formed instantaneously. This rock is a strange one indeed." 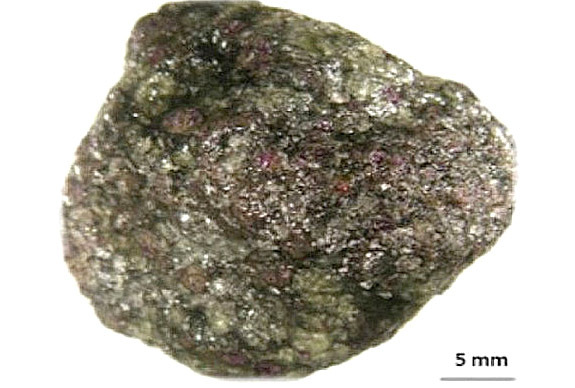 Red garnet and green olivine are responsible for giving the rock’s surface its Christmas Holiday colors. Taylor is hoping that the minerals that make up the host rock will provide critical clues about the origin of diamonds that form under intense heat and pressure about 150km (93 miles) below the earth’s surface. Volcanic eruptions are responsible for bringing the diamond-rich mantle material to the surface, but much of the mantle rock breaks up during the perilous ride, leaving only the diamond crystals behind. 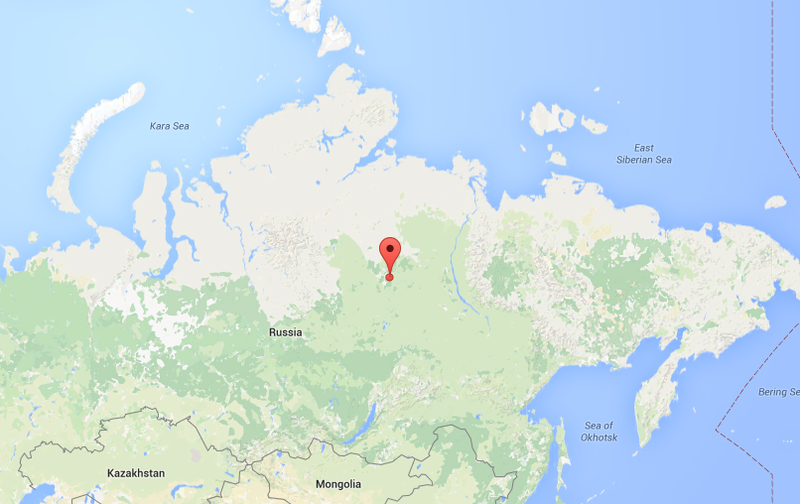 In the case of the Udachnaya Christmas Rock, the mantle material stayed intact, according to LiveScience.com. Taylor’s complete analysis of how the Christmas Rock formed will be published in the January issue of Russian Geology and Geophysics. Rock photo: Larry Taylor; Map: Google Maps. Penned by the married couple Noel Regney and Gloria Shayne Baker in 1962, “Do You Hear What I Hear” was intended as a plea for peace during the Cuban Missile Crisis — a time when the U.S. and the U.S.S.R. were in a tense standoff regarding the Soviet Union’s move to construct ballistic nuclear missile bases in Cuba. Baker told the Los Angeles Times years later that neither she nor Regney could perform the song at the time they wrote it. "Our little song broke us up,” she said. “You must realize there was a threat of nuclear war at the time." Baker and Regney’s “Do You Hear What I Hear” became one of the most popular Christmas songs of all time. It has sold tens of millions of copies and has been covered by hundreds of artists over the past 51 years. 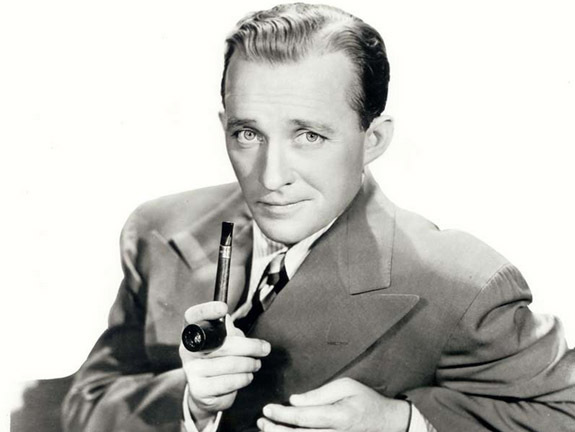 Crooner Bing Crosby made the song a worldwide sensation in late 1963, when he featured it on his holiday Christmas album and performed it during Bob Hope's televised Christmas special. As a holiday treat, we’re presenting two renditions of "Do You Hear What I Hear." The first is a brilliant and stirring contemporary duet by Mary J. Blige and Jennifer Nettles, who performed it in 2013 during the CMA Country Christmas special on ABC. The second is Bing Crosby’s iconic version from 50 years earlier. The lyrics are below if you’d like to sing along. Enjoy! Lyrics by Noel Regney. Music by Gloria Shayne Baker. First performance by Mary J. Blige & Jennifer Nettles (2013). Second performance by Bing Crosby (1963). 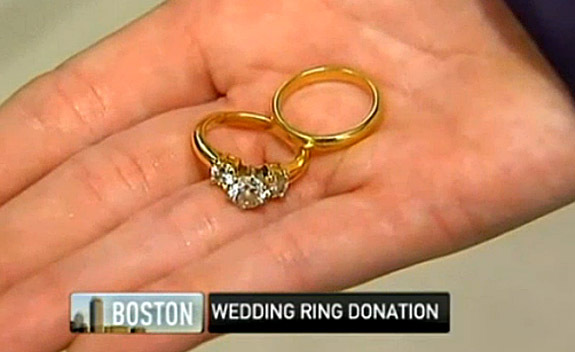 In the true spirit of the holiday season, a Boston woman offered $21,000 for the bridal jewelry dropped into a Salvation Army Red Kettle a few weeks ago — and made a special request that the rings be reunited with their original owner. Recently, we featured the story of an anonymous woman who honored her late husband’s joy of Christmastime gift giving by selflessly donating her engagement ring and wedding band to the Salvation Army. She hoped the proceeds from the jewelry could buy toys for needy children. “In all seasons, my husband was a giver,” said the note that accompanied the jewelry. “I especially remember his joy in giving at Christmastime, especially to those in need. To honor his memory, I donate this ring." 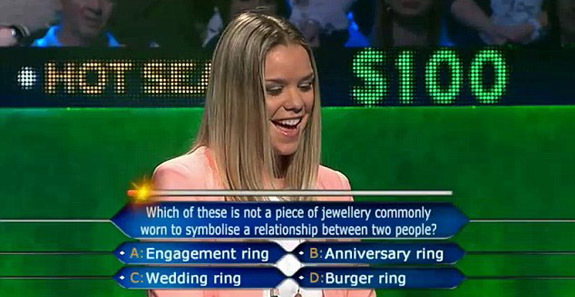 Accompanying the jewelry in an envelope was a 2003 appraisal stating the engagement ring’s value at $1,850. The widow was confident the three-stone engagement ring would yield far more than the amount stated on the 11-year-old appraisal. "I'm hoping there's someone out there who made lots of money this year and will buy the ring for 10 times its worth. After all, there's no price on love or the sentimental value of this ring. But money will help the kids." Like the rings’ owner, the second benefactor wished to remain anonymous and was motivated by the memory of her beloved spouse. “I miss him dearly, but my husband would be happy that I am doing this,” she told the Salvation Army. Even though the Salvation Army is dedicated to fulfilling the sentiment behind its donations, it’s not clear if the original donor will come forward to reclaim her rings. “We are just blown away by these gifts and the way it has captured people’s imaginations,” Forster told The Boston Globe. Hey, guys. Tonight is Christmas Eve, and not only is it the most magical night of the year, it’s also the most romantic. Did you know that more men deliver marriage proposals on Christmas Eve than any other time of the year? According to a survey by Brides magazine, nearly one in five marriage proposals (19%) takes place during the month of December. TheKnot.com reported that 39 percent of marriage proposals occur between Thanksgiving and Valentine’s Day. The U.K. web site Chillisauce.com was even more specific, ranking Christmas Eve (12/24), Christmas Day (12/25) and New Year’s Eve (12/31) as #1, #3 and #4, respectively, for marriage proposals. Valentine’s Day (2/14) rated #2. While May and June remain the most popular months for weddings, the winter season seems to be the best time for getting down on bended knee and popping the question. Experts believe that the winter engagement phenomenon is attributed to two factors: the romantic nature of the season... and convenience. The festive season seems to bring out the best in all of us. It’s a time of giving, and a time to cherish our families. And, certainly, there’s no better time to propose than when all the family is in town to celebrate with the newly engaged couple. Couples spend $508 on gifts for each other. A timepiece is the top gift for the groom and jewelry is the top gift for the bride. Couples will also spend an additional $760 on gifts for parents ($262), bridesmaids ($308), and groomsmen ($280). Welcome to another Christmas edition of Music Friday, when we bring you great songs with jewelry, gemstones or precious metals in the lyrics or title. Today, we present Disney star Olivia Holt performing her holiday release, “Snowflakes,” an inspirational song about how we’re all unique and beautiful in our own way. She uses diamond and snowflake imagery to deliver a powerful message about how we should embrace the qualities — and flaws — that make us different than the rest. “Snowflakes” was first heard in 2013 on Disney’s Holidays Unwrapped Christmas Album, which featured performances by a number of popular Disney Channel favorites, such as Debby Ryan, Ross Lynch, Bella Thorne and Zendaya. Three weeks ago, Holt released a beautiful, new acoustic version for Disney’s Playlist Sessions. The official video currently boasts more than 188,000 views on YouTube. 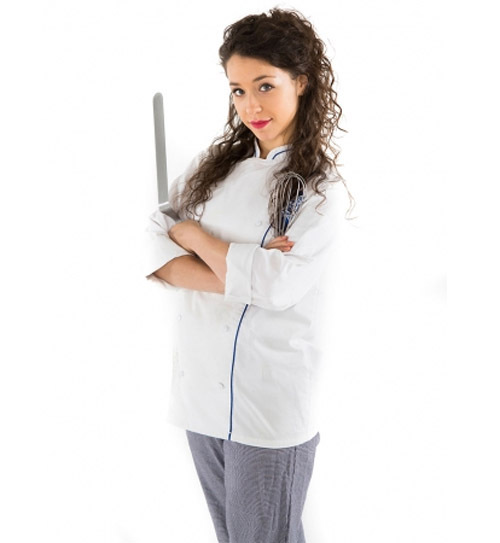 The Tennessee-born and Mississippi-raised Holt is best known for her starring roles in the Disney series Kickin’ It and the Disney Channel Original Series, I Didn’t Do It. Hoping to follow in the footsteps of a long list of Disney teen stars who have become successful pop stars, Holt recently signed a deal with Hollywood Records. Selena Gomez, Demi Lovato, Britney Spears, Christina Aguilera, Jonas Brothers and Justin Timberlake are just a handful of Disney alums that have vaulted to top the music charts. Holt reported that producing her first album was a “heart-pounding experience.” It’s scheduled to release in 2015. 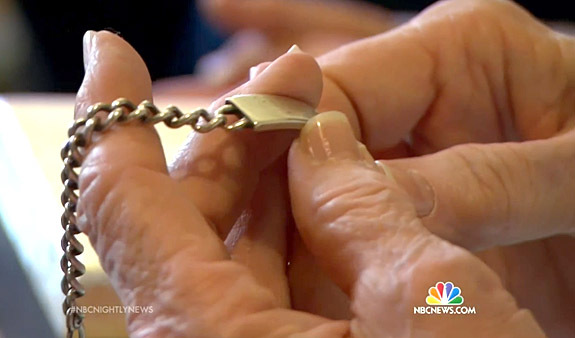 The widow of war hero Warren McCauley received a very special gift this Christmas — a silver ID bracelet that her beloved husband and family patriarch left behind in Italy exactly 70 years ago. McCauley, a Kansan who was awarded a Bronze Star for his heroism fighting the Germans in Italy during World War II, wore a silver bracelet bearing his serial number on the plaque. The bracelet, which was a gift from his family, was not only a fashionable piece of jewelry, but it also had the practical purpose of helping to identify the soldiers who perished in battle. 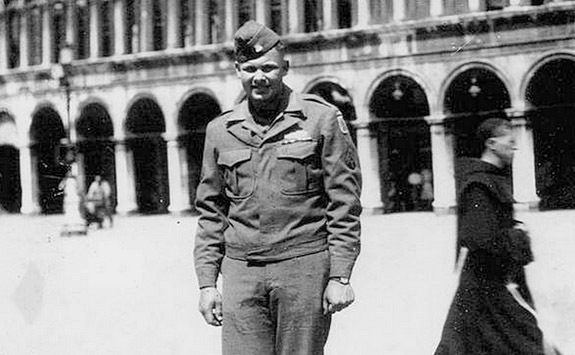 The 19-year-old became a decorated member of the elite 10th Mountain Division. After the Germans' surrender, he returned home safely, but his bracelet didn’t make the trip. Instead, it stayed behind in Italy in the possession of a 10-year-old Italian girl named Bruna de Maria. Bruna’s parents had made their home available as a field hospital and canteen, where they helped care for tired and wounded American soldiers. It’s not clear whether her parents were gifted the bracelet by McCauley when he and fellow soldiers accepted the de Maria’s hospitality in the small town of Castel D'Aiano, or whether the bracelet was found nearby, but young Bruna saw the bracelet displayed in her family’s glass-front cabinet and decided to make it her own. 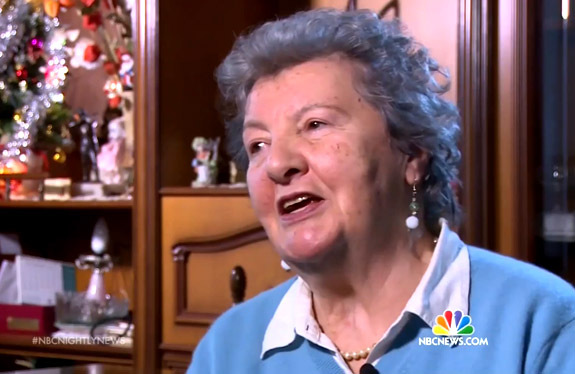 "I just took it," she told NBC Nightly News in a story broadcast on Saturday. "I was very poor, so a bracelet for me was a treasure." She cherished the bracelet and kept it safely in the drawer of her night table — for the next 70 years. In September, Bruna gave the bracelet to her son, Stefano. He knew right away that he needed to make the effort to get the bracelet back into the hands of the family of its original owner. 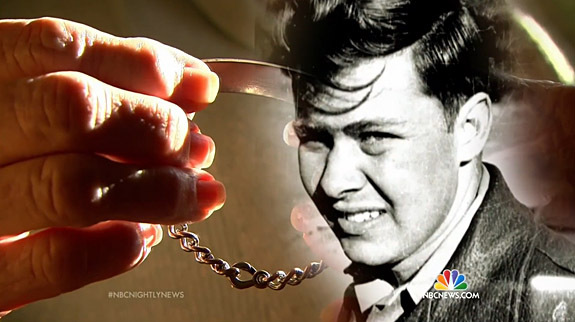 "This bracelet made history," he told NBC News. "It belonged to an American soldier who came here to fight, to defend our country. That's why I thought of giving it back." His internet research came up empty when he mistook the maker of the bracelet for the soldier’s name. 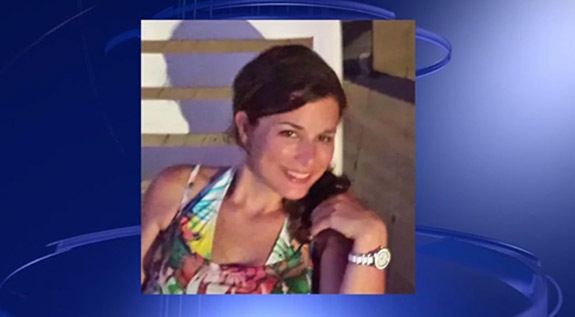 He also sought the help of the American consulate in Milan, but that, too, was unsuccessful. By a brilliant stroke of luck, Stefano showed the bracelet to a dinner guest who had a lawyer friend in Oklahoma. The lawyer contacted an NBC News journalist, who, in turn, contacted the official archivist for the 10th Mountain Division. Bingo. 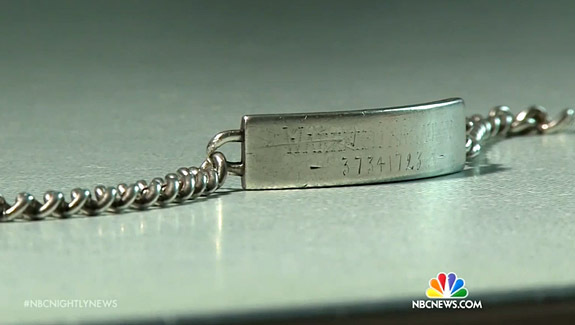 The serial number on the bracelet was linked to Warren D. McCauley, his last known address in Buena Vista, Calif., and his wife, Twila. Right in time for Christmas, the bracelet was on its way back to the McCauley family. The 85-year-old Twila could barely contain her emotions when she opened a small pouch that contained the bracelet of her beloved husband, who had passed away in 1986. 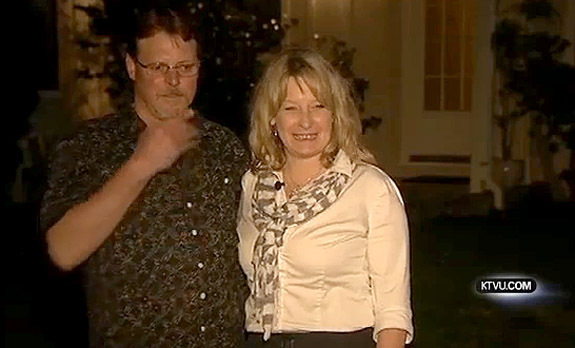 "It’s come back to us," Twila told NBC News. 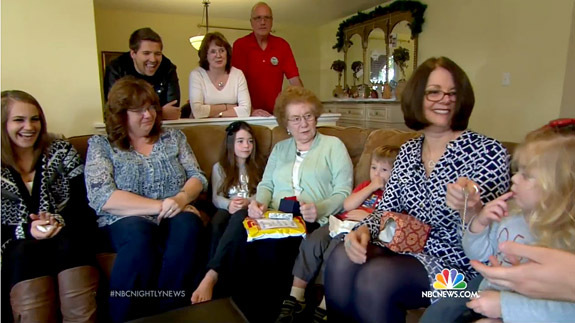 In her living room, surrounded by her extended family, Twila passed the bracelet around to four generations of McCauleys. The bracelet that none of them knew existed is now a precious direct link to the family patriarch who wore it while fighting for freedom so many years ago. "I feel very emotional about it," Warren's eldest daughter, Dee Prophet, told NBC News. "It's a piece of him that we can all share, and treasure, and have back in the family." 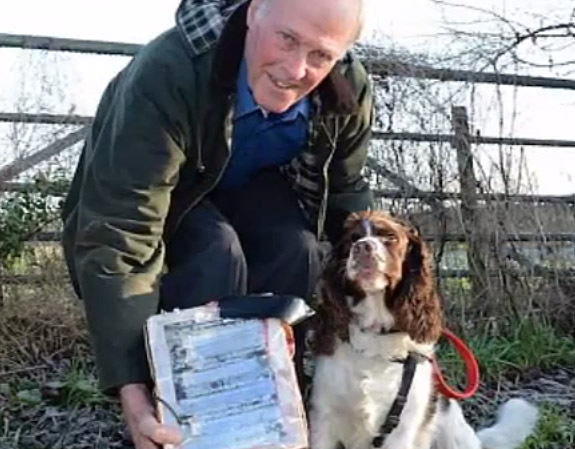 An English Springer Spaniel named Rosie is being credited with accomplishing something no other man nor beast in the U.K. could do — and that was to locate a 1.14-carat diamond that was dropped from space 4+ months ago as part of a publicity stunt that went awry. 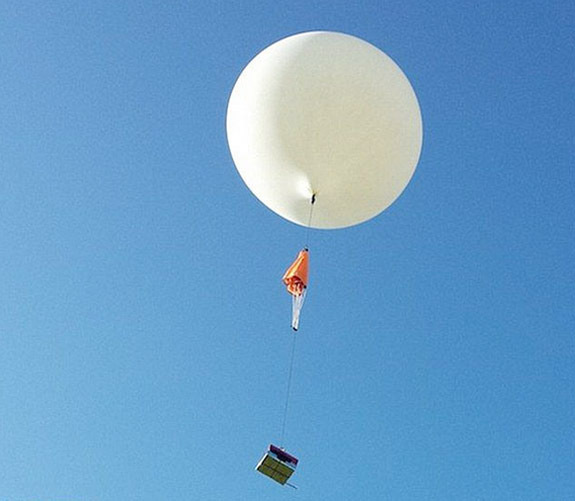 Back in mid-August, we told you about a zany promotion, where a $20,000 cushion-cut diamond was launched into space via helium balloon and then parachuted to earth once the balloon burst under pressure at 100,000 feet. Online retailer 77 Diamonds planned to give consumers hints as to the whereabouts of the diamond using #diamondinthesky on Twitter. The person who was to eventually find the diamond was allowed to keep it. Unfortunately, the diamond’s tracking device malfunctioned during the gem’s 150-minute, 60-mile round-trip into space and back again. 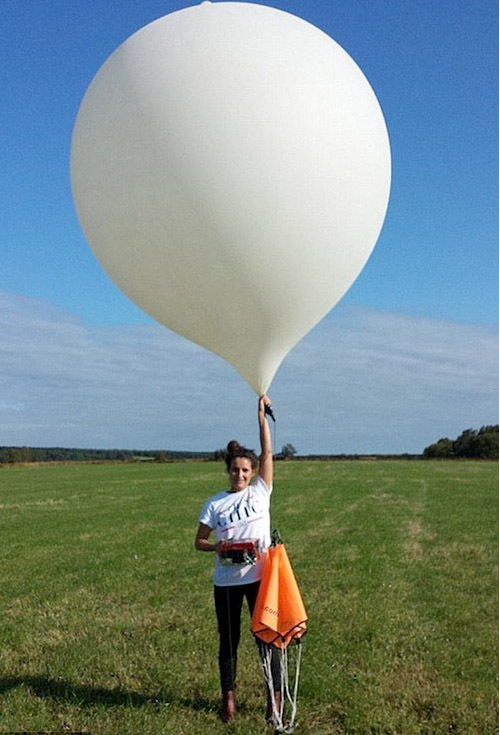 The helium balloon had launched from Derbyshire, U.K., but the diamond company was not quite sure where it landed. 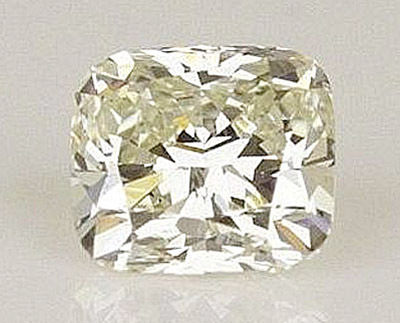 The company told treasure hunters that the diamond was likely within a five-mile radius of Lea, a small town about 150 miles north of London. 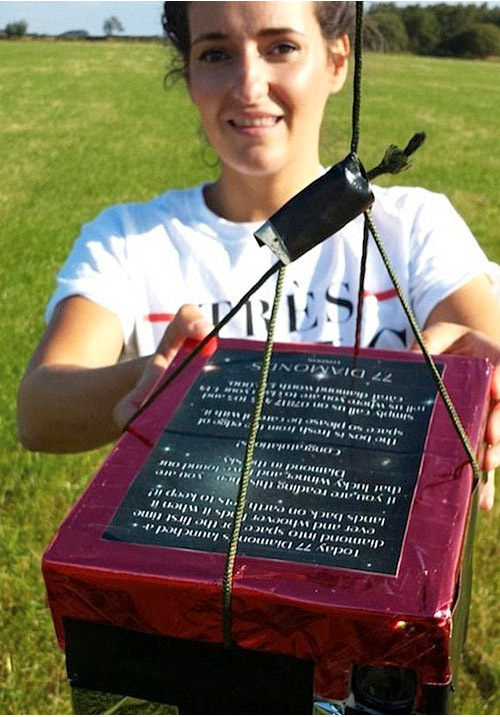 Thousands of people scoured the countryside for weeks, but the diamond — which was safely nestled inside a red foil box and attached to a bright orange parachute — was nowhere to be found. As weeks turned into months, treasure hunters gave up on the search. And this is where Rosie and her owners, Allan and Pat Bell, rejoin the story. The group was walking along a country path in Brattleby — about 10 miles east of Lea and well outside the presumed drop zone — when Rosie darted under a hedge and dragged out a muddy prize, according to Metro.co.uk. At first, the Bells didn’t realize exactly what Rosie had found. They left the tangled mess at the side of the path and decided to collect it on the way back. On their walk back, they inspected Rosie’s discovery more carefully. “I looked a bit closer and saw the package had an orange parachute underneath it and details of who to contact written on it – and I knew it must be the diamond,” the 75-year-old Allan Bell told Metro.co.uk. Pat Bell added, “I couldn’t believe it when we opened it up. You could have knocked me down with a feather. The retired truck driver and his wife of 25 years will look to sell the diamond and use the funds to go on a Mediterranean cruise to celebrate their silver wedding anniversary. Rosie will be rewarded with a rib-eye steak.